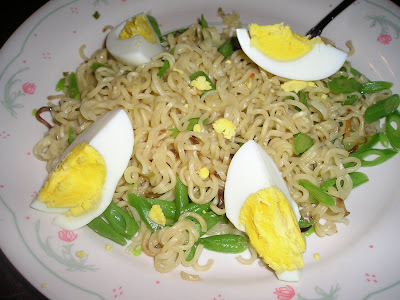 We had pancit canton for merienda yesterday.. This is one of the pasalubong we got from our Filipino neighbor here when they went for a vacation in the Philippines. I love pancit canton especially the lucky me ones.. This one is payless but stil liked it because it was a kalamansi flavored one..